Mash the garlic and mix with the olive oil some chopped parsley and marinate the 4 slices of eggplant in the mixture for about 20 minutes. 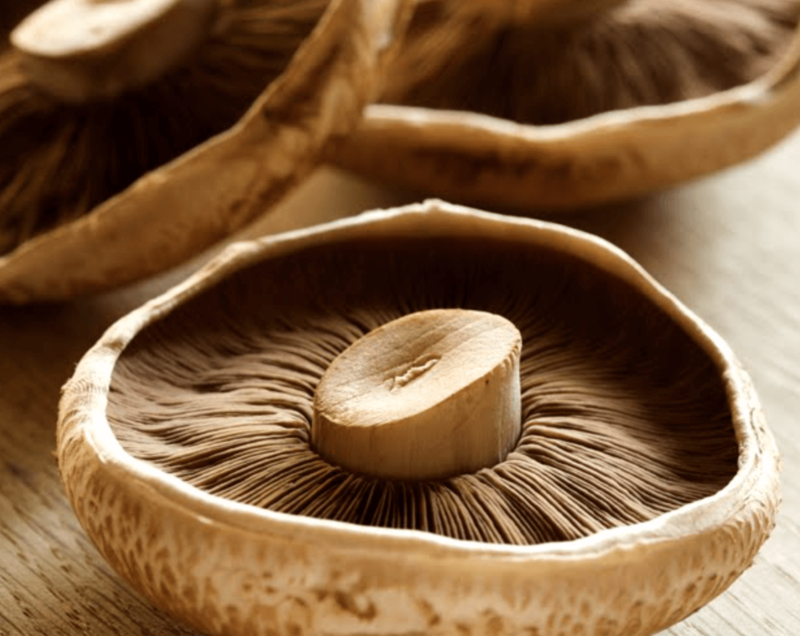 Wipe of (don't wash) the portobello mushrooms, and cut them into 2 halves as if it were a hamburger bun and then place them on the grill till they are cooked (around 10 minutes on medium heat). Crumble the feta cheese and mix with some chopped parsley and set aside. Now we will 'build' the burger! First place the bottom layer of the portobello (bun) and on top of that place a slice of eggplant followed by tomato followed by another eggplant slice and then topped with the feta cheese/parsley mixture. Lastly place the top half of the portobello on top. Place in an oven of around 160 celsius for about 15 minutes so that the feta will warm up and melt a little.